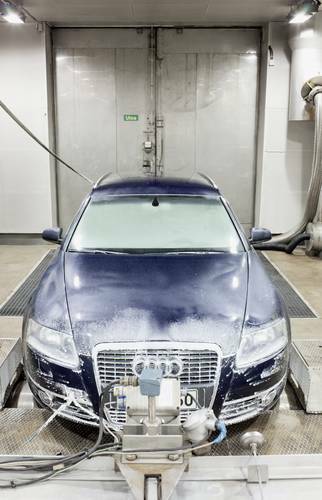 When the temperature outside falls below freezing point, cars are put under a lot of strain. However, it is possible to mitigate the harmful effects of cold weather on your car. The engine is the heart of the car, and you should take care of it. The problems caused by cold weather to the car must always be taken seriously. In addition to the driver, cold freezes the vehicle, but it is fortunately possible to prepare for any problems. For example, fuel goes from the tank to the engine through a filter and nozzles, and the journey is not without risks. "The conditions inside the engine must be sufficiently warm for the fuel to ignite and burn in general. In cold weather, this is a problem," says Tuukka Hartikka, engine expert at Neste. Owners of gasoline-powered cars need not pay special attention to the quality of fuel in the winter. On the other hand, summer-grade fuel immediately causes problems with diesel engines when the temperature falls below 0°C (32°F). "Just -5°C (23°C) can cause summer-grade diesel to solidify," says Hartikka. Therefore, selecting the right grade is of prime importance, and you should change to the winter alternative early enough. When you change to winter-grade diesel, you should first empty the tank by driving as much as possible to get a sufficient amount of the fuel’s inherent cold properties. "Any summer-grade diesel in the tank considerably weakens the cold properties of the winter-grade diesel," Hartikka explains the differences. A fully charged and working battery plays a key role on a freezing day. "The battery turns the starter of the engine, and the car won't move without it. You absolutely need to check the condition of the battery before the onset of cold weather." Next, make sure that the lubricating oils of the car are of the right kind and there are enough of them.. You should rely on the lubricant recommendations of the car manufacturer. "Too stiff an oil causes problems in startup in cold weather and also causes more wear on the engine," engine expert Tuukka Hartikka lists. You can avoid problems on a cold morning by foreseeing the drop in temperature. "Servicing is important, and you should take care of it early before cold weather," Hartikka advises. You can also avoid a lot of problems by preheating the car before starting off. It is recommended to already preheat the car when the temperature is slightly above the freezing point. Radiant heaters, engine block heaters and fuel operated heaters help the car to start. "Using heaters reduces fuel consumption and emissions, as well as saving the engine." If preheating is not possible, there are still ways to set off in a way that saves the car. "Let the car heat for a while at idle before you start driving. A smoother style of driving will also let the lubricants of the car to warm up and therefore operate as intended," Hartikka says.